If you follow the Advanced Endodontics Blog, you will know that an infection of the root canal can be quite painful and can lead to a dangerous abscess or even worse. If the pulp inside your tooth is diseased and left untreated the roots in your teeth could fill with pus spreading dangerous bacteria throughout your body. Root canal infections can also lead to swelling around your face and neck and structural damage to the tooth. Tooth decay is the number one reason people get root canal infections. When your tooth decays, it penetrates deeply into the enamel and dentin in the tooth. Bacteria usually cause tooth decay, which leads to plaque and tartar. Another reason you may need root canal therapy is trauma. 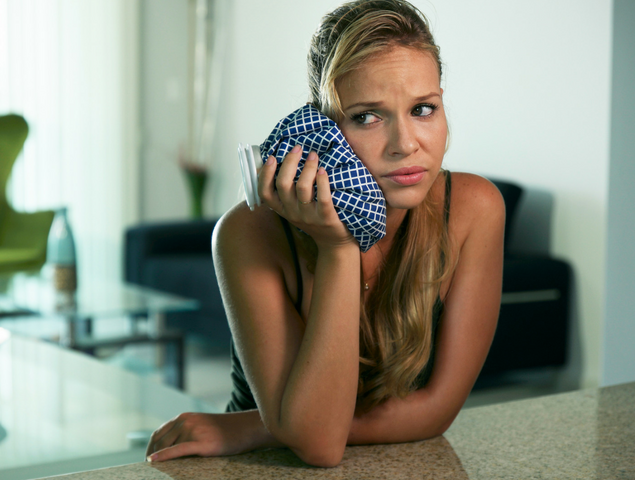 If the tooth in question has been worked on repeatedly, or an injury, such as a knock in the mouth has occurred, an infection of the nerves, tissue and blood vessels could happen. 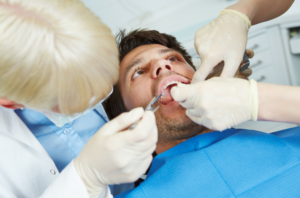 Chips and fractures in your teeth could also cause a root canal infection. Dr. Berlin and Dr. Rustad recommend steering clear of foods and beverages that are high in acid and sugar. Skip the energy and sports drinks and drink water. Fruit juices are loaded with sugar as well. Juicing at home can cut your sugar intake in half. Keep starches to a minimum, as they will stick to your teeth converting to acid and bacteria. Cakes, cookies, bread, chips, and any other starchy foods can cause problems for your teeth. Citrus is great for your body, but should be enjoyed with a meal as oranges, limes, lemons, grapefruit and other citrus fruits, are very acidic. After eating that tangerine, make sure to rinse with water. Good oral hygiene habits along with a healthy diet can help your teeth and gums stay healthy. Brush twice and floss once each day and make sure to see your dentist at least twice a year, even more so if you have chronic teeth and gum issues or suffer from diabetes. If you would like more information regarding Endodontic Therapy, or have a referral for root canal therapy from your dentist, call or click and schedule an appointment with Advanced Endodontics Beverly Hills today.